During a period of time when other high ed institutions offered programs that trained students to become managers, Augsburg saw the need for real leaders. From this observation, the, then college, developed a program that does just that: A distinctive Master of Arts in Leadership degree and the leadership development model that drives the program. 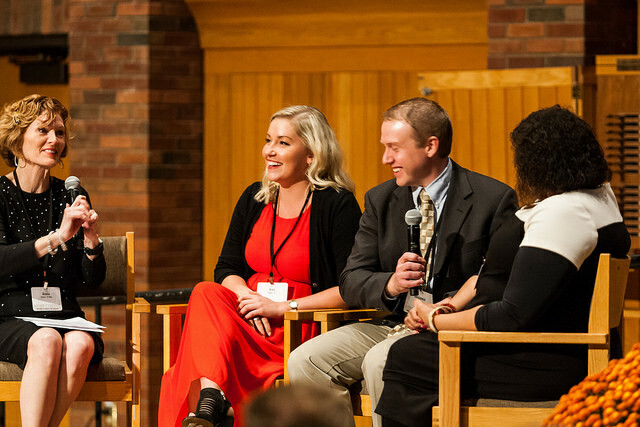 Augsburg’s Master of Arts in Leadership program includes various disciplines within liberal arts that — like Augsburg’s undergrad programs — builds skills in communication, problem-solving, and critical thinking, as well as increasing students’ self-confidence and ability to take informed risks. Augsburg’s MA in Leadership program develops employees that have vision and who have the ability to work across company divisions to make thoughtful decisions. This program teaches leadership, but moreover, develops leaders and transforms students.